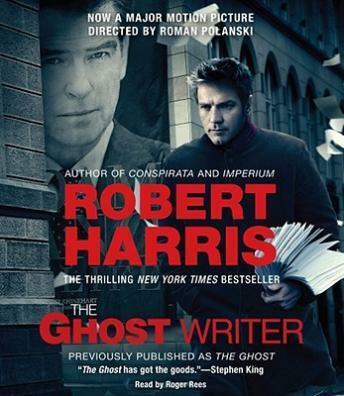 The role of a ghostwriter is to make his client look good, not to uncover the truth. But what happens when the client is a major political figure, and the truth could change the course of history? Adam Lang, the controversial former prime minister of Britain, is writing his memoirs. But his first ghostwriter dies under shocking circumstances, and his replacement—whose experience lies in portraying aging rock stars and film idols—knows little about Lang’s inner circle. Flown to join Lang in a secure house on the remote shores of Martha’s Vineyard in the depths of winter, cut off from everyone and everything he knows, he comes to realize he should never have taken the job. It’s not just his predecessor’s mysterious death that haunts him, but Adam Lang himself. Deep in Lang’s past are buried shocking secrets…secrets with the power to alter world politics…secrets with the power to kill.